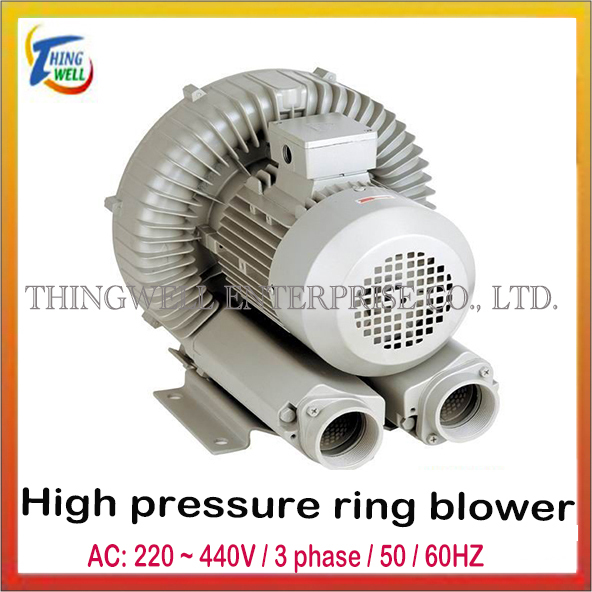 Ring blower, High-pressure blower,Oil-free blower,Plating bath blower, Aquaculture breeding blower,Sewage pond aerators-Aquaculture supplies related categories-Thingwell Enterprise Co., Ltd. Application: Aeration increases dissolved oxygen in aquaculture ponds to improve the survival rate of fish and shrimp ponds and increase harvesting. 1.Precise bladeand cover made of die-cast aluminum. 3.Wide voltageand frequency.Stable working performance and energy saving. 4.Dual-usage:Compressor and vacuum(blow and suction). 5.Centrifugalcirculation design.High pressure and big smooth air volume. 7.Air flowcushioning design.Low noise and low vibration. 8.Compact lightweight design.Longer operating life and easy installation. 1.Coolerrunning NSK & TPI bearing. 2.Precise bladeand cover made of die-cast aluminum. 3.High qualitycopper winding motor with IP54 and IP55 protection and insulation class H.
6.Wide voltageand frequency.Stable working performance and energy saving. 7.Dual-usage:Compressor and vacuum(blow and suction). 8.Centrifugalcirculation design.High pressure and big smooth air volume. 10.Air flowcushioning design.Low noise and low vibration. 11.Compact lightweight design.Longer operating life and easy installation. If you need product catalogues, please feel free to send inquiries to the following email address.